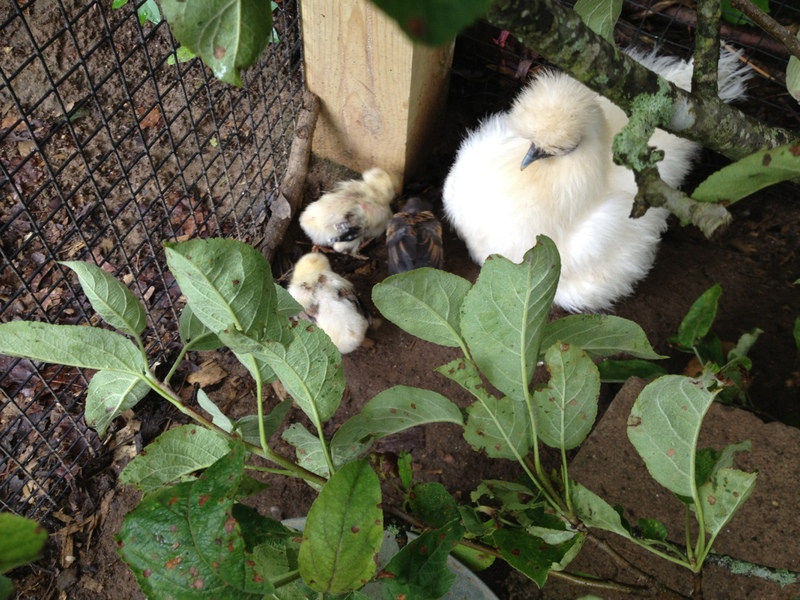 Our #1 Mommy has successfully adopted our 3 incubator chicks. After two days of rain, the sun came out and so did the little family. 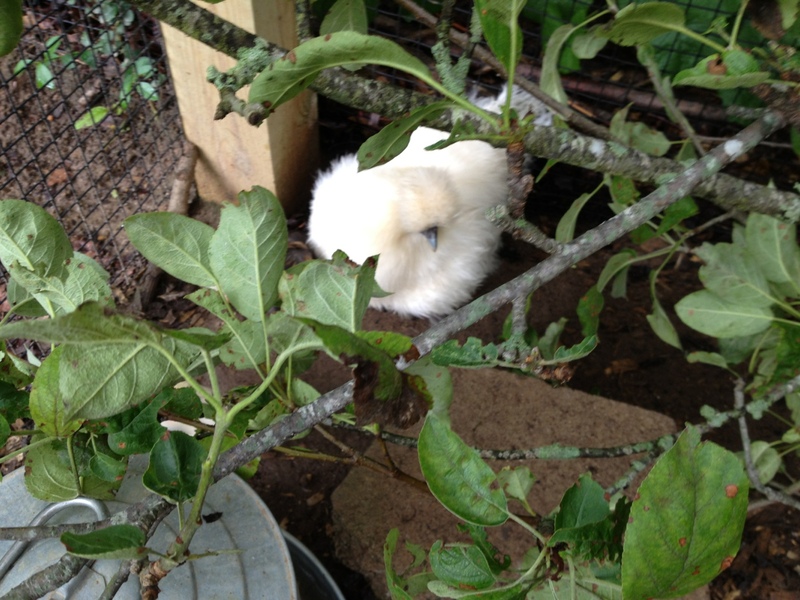 Concerned about how the other chickens would react, I made sure everyone had plenty of free-range time and I also added shrub-like branches from our orchard pruning to give the new family more cover. They love it! The trio still spend most of the time underneath warm mommy with only an occasionally downy head popping out to look around. As the day warms up, the trio venture out sometimes to investigate. If only you could hear the family “talking” to each other!